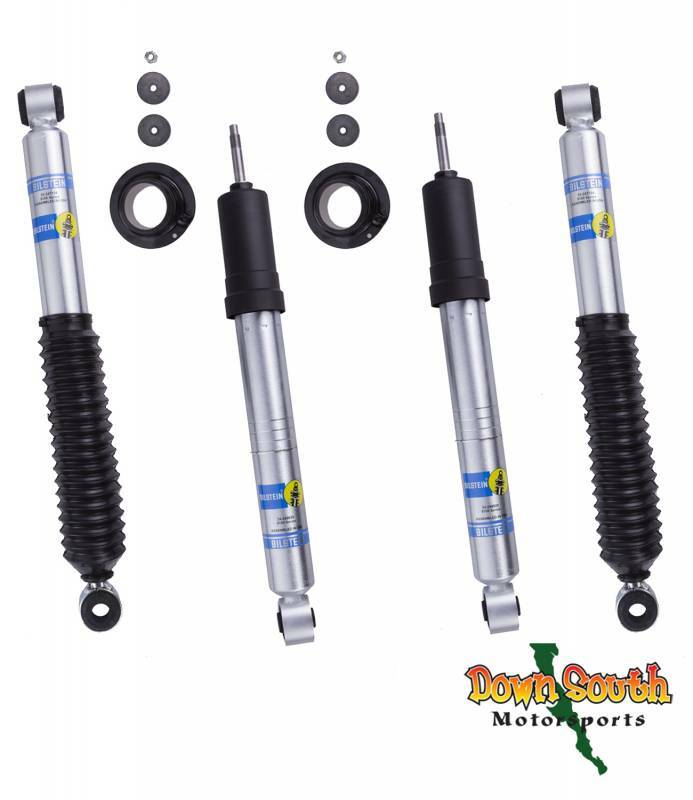 THE 5100 SERIES REAR SHOCKS FOR THIS MODEL '96-04 TACOMA REQUIRE A 1-1.5" REAR LIFT THEY DO NOT FIT A STOCK HEIGHT REAR SUSPENSION. 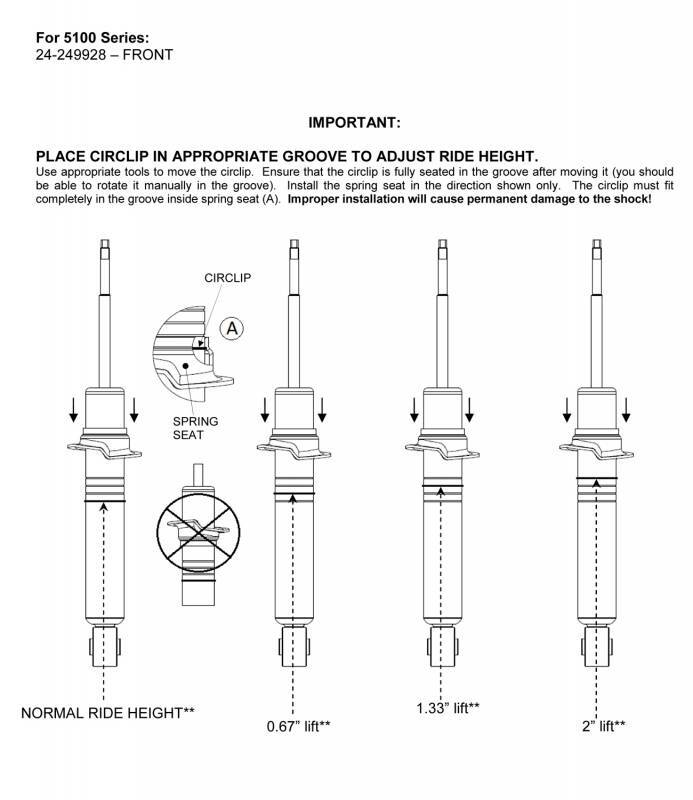 PLEASE DO NOT PURCHASE THIS REAR SHOCK SET IF YOU DO NOT PLAN TO USE WITH A 1-1.5" REAR LIFT! Availability: Most shocks will ship within 1 to 3 business days. Shipping: Free shipping via UPS Ground in the lower 48 Contiguous United States. International orders please contact us. Collapsed Length: 13.86" / Extended Length: 18.66"
Shocks are designed to re-use the factory coil spring and mounting plate from your stock strut assembly. Collapsed Length: 13.62" / Extended Length: 21.26"
Collapsed Length: 14.07" / Extended Length: 22.09"
Availability Remarks: Most shocks will ship within 1 to 3 business days. Shipping Remarks: Free shipping via UPS Ground in the lower 48 Contiguous United States. 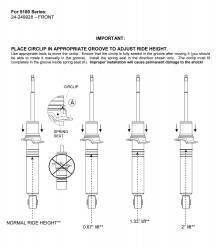 International orders please contact us.